Dr. Nick Wilkinson has started work at the University of Leeds (UK), on a two year outcomes assessment of Flavour School, a programme of sensory food education for primary schools, adapted from the SAPERE method. 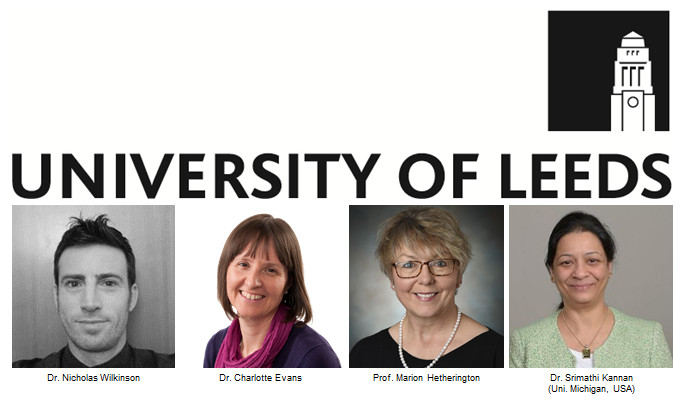 Nick has teamed up with Dr. Charlotte Evans (Leeds School of Food Science and Nutrition), an expert in randomised control trials of food and diet interventions, Prof. Marion Hetherington (Leeds School of Psychology), an expert in behavioural analysis of eating behaviour in children, and external advisor Dr. Srimathi Kannan (Uni. Michigan, USA), who is pioneering sophisticated behavioural analysis of sensory food education outcomes in the USA. Dr. Wilkinson will conduct randomised control trials (the gold standard methodology for clinical trials) to understand whether Flavour School achieves significant behaviour change in 4-7 year olds towards the goals of increasing children’s willingness to taste foods and their enjoyment and engagement in exploring foods and flavours. Nick’s studies will focus on testing outcomes in natural, group-based taste exploration activities to ensure ecological validity, and will video record these activities to enable detailed analysis of behaviour. As well as how many items children taste, the team will look at things like facial expressions (e.g. how much the children smile during tasting activities), gestures, and vocabulary variety, to assess the extent of children’s engagement in exploring food, and whether Flavour School classes increase this engagement. This kind of detailed analysis is time-consuming, so Nick will also work on software tools to help automate the analysis. The team plan to make all their methods and tools open source, so that other researchers in the field can easily use the tools they develop. These studies will provide some of the most detailed and thorough examinations of sensory food education outcomes to date.